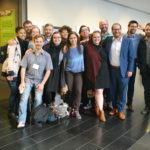 This three-year project brings together scholars from around the world to research climate justice and democratic commons governance, in the context of an innovative ecological economics partnership. Our objective is to build a research network of low and middle-income-country (LMIC) and Canadian emerging scholars (PhD students and post-doctoral fellows) working to address the injustices resulting from global climate change through participatory democratic governance and welcome them to the successful ongoing Economics for the Anthropocene (E4A) program and the global Queen Elizabeth Scholars (QES) network. Our vision includes a global community of activist researchers, grounded in an ethical understanding of the political-economic-ecological systems challenges epitomized by climate change, as well as participatory methods for catalyzing local grounded knowledge and leadership. The “commons governance” perspective draws from climate justice literatures, which increasingly emphasize that neither Market nor State-centred economies have shown themselves to be capable of resolving the challenges of accelerating resource consumption, worsening global poverty and wealth disparities, and environmental destruction. We are pleased to offer funding opportunities for doctoral and post-doctoral researchers working internationally on topics related to ecological economics, commons governance, and climate justice. This funding will support research travel, living expenses, and research internships or collaborations with civil society organizations in the context of research partnerships, as well as the public dissemination and sharing of research results. To apply, please follow the steps listed in the QES Call for Scholars’ Research Proposals found in the News section of this website. Applications will be accepted for consideration on a rolling basis, subject to availability of funds, from July 30, 2017 until January 31, 2019. Economics for the Anthropocene (E4A) is a graduate training and research partnership designed to improve how the social sciences and humanities connect to ecological and economic realities and challenges of the Anthropocene. Overarching goals are to articulate, teach and apply a new understanding of human-Earth relationships grounded in and informed by the insights of contemporary science. Based at McGill University, York University and University of Vermont, E4A forms the core of the partnership that includes academic, government, and NGO partners.